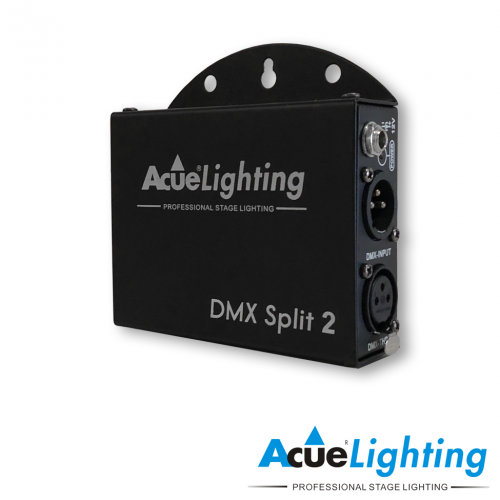 The Acue 6-way DMX splitter is a DMX signal splitter & booster, which has the capability to split a single DMX signal into 6 isolated outputs, as well as the ability to boost the signal for extended cable runs. 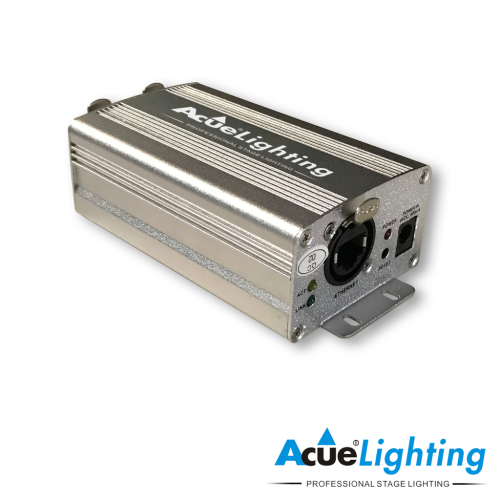 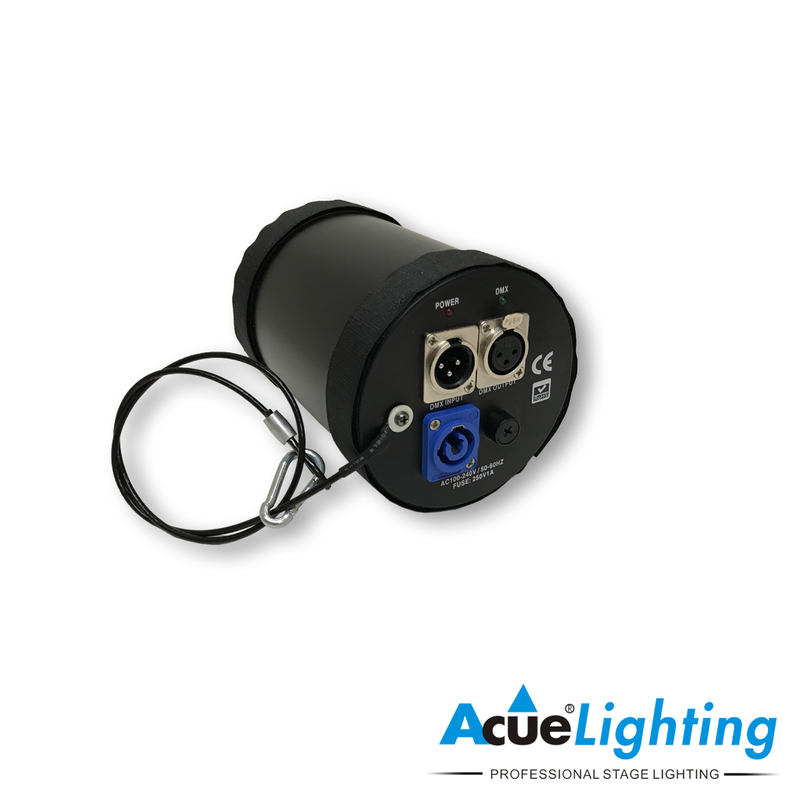 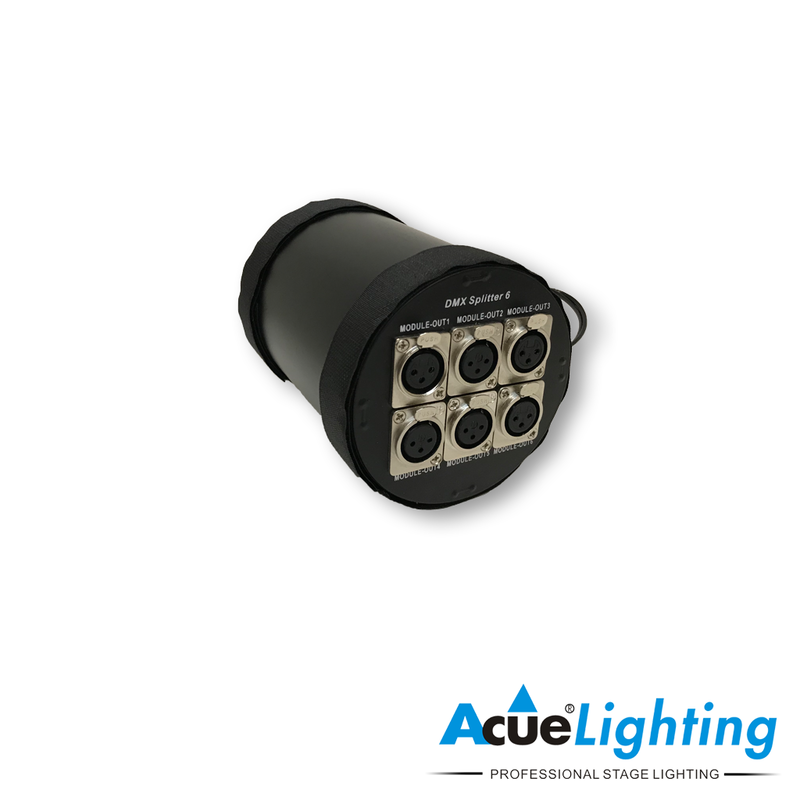 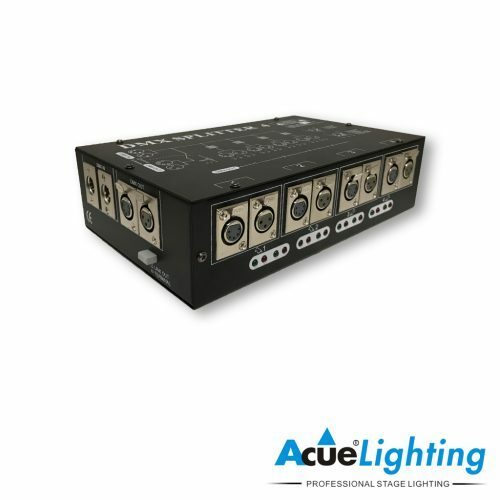 The Acue 6-way DMX Splitter has a set of 3-pin DMX input & output connectors for linking multiple units, 6 x 3-pin isolated DMX outputs, and DMX data LED indicators for each of the four DMX outputs for monitoring proper DMX input and output. 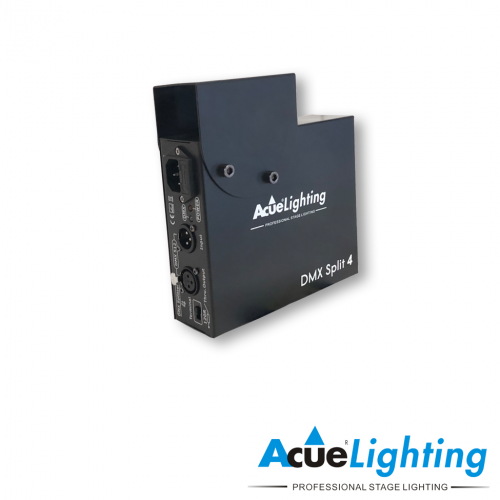 The Acue 6-way DMX splitter also has Velcro straps and a safety cable designed to strap the splitter inside a truss column.